Designed to provide greater dining flexibility for Grand Hotel guests. Package includes a full breakfast, accommodations in one of our 385 uniquely-decorated guest rooms, and all resort amenities. 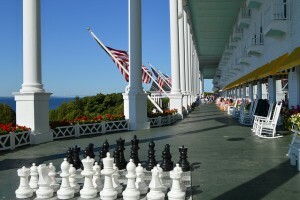 Subject to Michigan 6% sales tax, 2% Mackinac Island assessment and a $7.50 per person baggage handling charge. *Dates subject to availability. There is a minimal, per child charge if you sign up for the Children’s Program with this package.